Research tells us 91% of unhappy customers will never return and 96% will never tell you the reason they left. Groan. Your customers are testing your experience. They should not be the only ones. Here is 5-point failure test that targets your customer’s initial experience … even before you have had what we usually think as an opportunity to fail. It only requires a 10-minute investment of time. It deals with 3 basic questions: Can customers easily find out where you are located? How to contact you? When you are open? 1. Use your website (2 minutes). Go to your website. In less than 2 minutes find where you are located (plus points for map), how to contact you, and when you are open. 2. Call your office/store/establishment (2 minutes). Call your establishment. In less than 2 minutes from the first ring, find out where you are located (plus points for directions from the nearest freeway exit) and when you are open. 3. Call your office/store/establishment AGAIN … only afterhours (2 minutes). You can press as many buttons as necessary, but can you get the critical information of location and hours? 4. Google yourself (2 minutes). Google your establishment. In less than 2 minutes find your website, Facebook account, or LinkIn site (plus points if on the first Google page) and open it. 5. Take a photo of your front door (2 minutes). Assume it is afterhours. Is your name clear? Is there an alternative way to reach you either by phone or on the web? 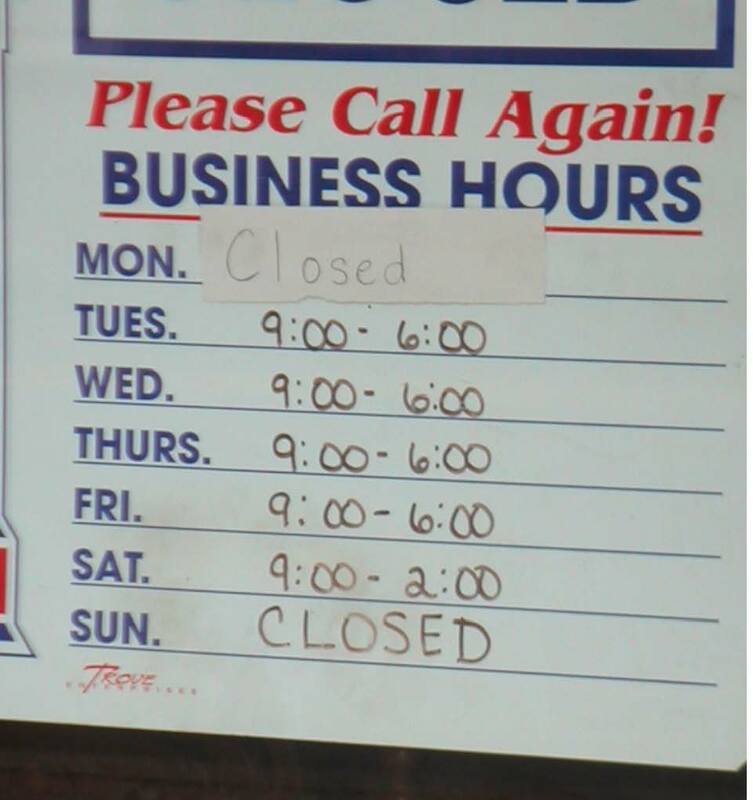 Does it say when you are open? If your customers can’t find you, can’t reach you, and don’t know when you’re open, you’ve failed to even offer them a chance to test what it is like to do business with you. Would you pass the initial experience test? How could you enhance this first critical experience?